The harrow drawbar is a time-saving unit which may be easily attached behind field cultivators, chisel plows, disk harrows, grain drills and many other implements to let you do two jobs at one time, while reducing soil compaction, time and operating costs. 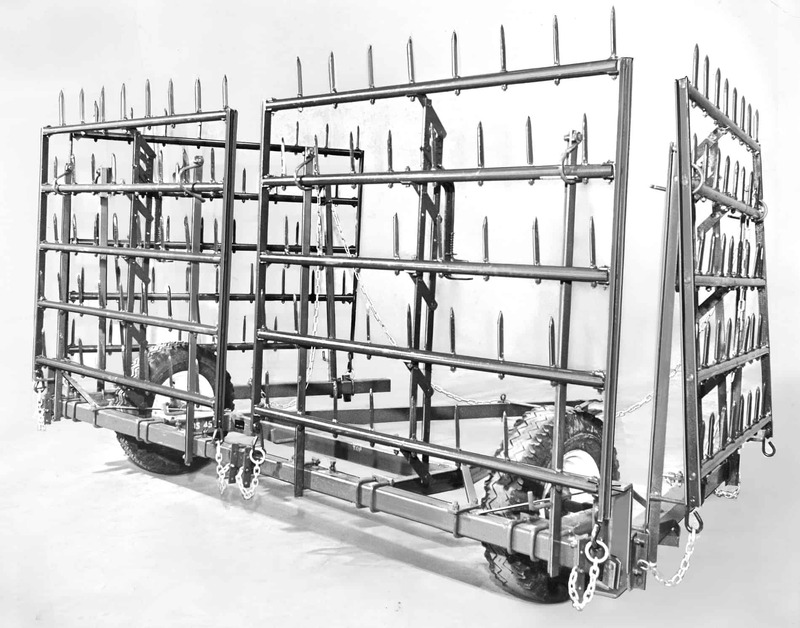 You can harrow or cultivate more acres per day with the WDS Series harrow drawbar & transport. The reliable wheel drawbar makes field to field transport easy. WDS-45 – Four-section, Two Wheel drawbar. The center boom on a WDS-45 is adjustable to fit 5’ 0” to 6’ 0” open or closed end sections. 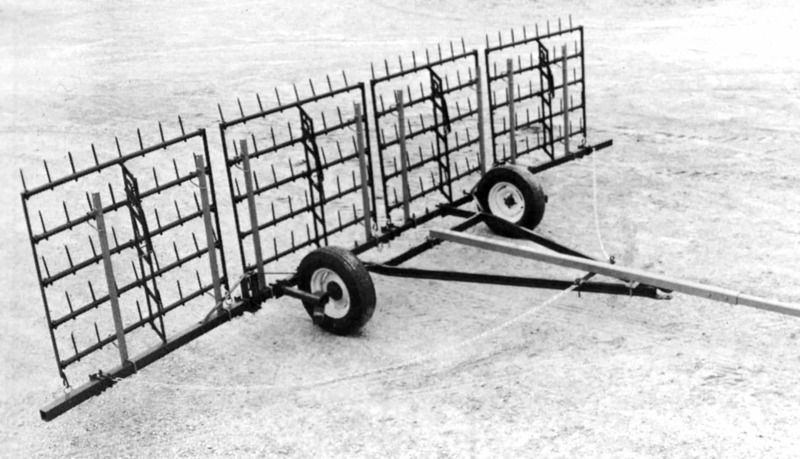 WDS-47 – Four-Section, Two-Wheel Drawbar. The center boom on a WDS-47 is adjustable to fit 6’6″ to 7’ 0″ open or closed end sections. Both unit’s tread widths are adjustable from 80″ to 120″ to conform to row crop spacing. HOW THE HARROW DRAWBAR FOLDS MANUALLY FOR TRANSPORTING. The WDS-45 & WDS-47 four section drawbars fold to two-section width. The outer sections fold forward. Lift the sections into the cradles, tip up, and secure. The Pole Extension is designed as an addition to your WDS-45 or WDS-47 cart for easier turning in the field when using these units with another tool, for an improved seed bed and less fuel consuming operations.